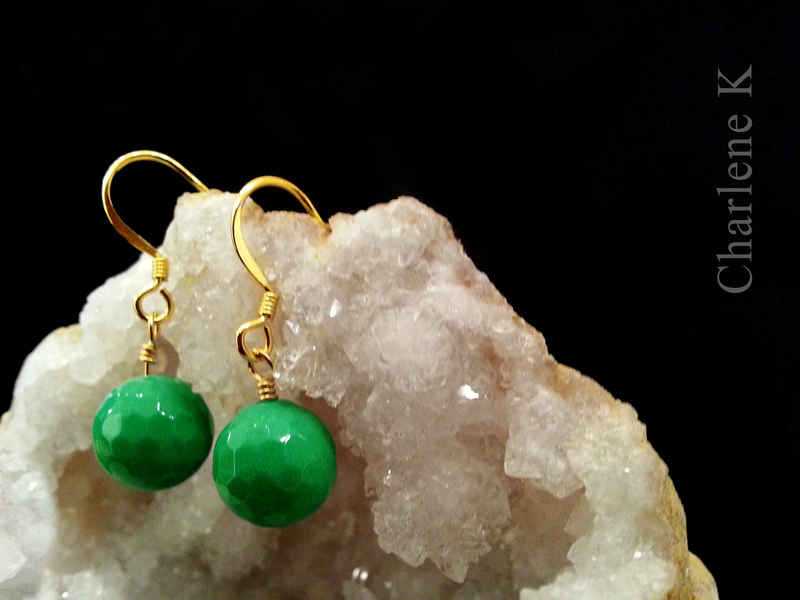 Charlene K Green Agate Gemstone Earrings. Gemstone available in: Green Agate, Turquoise, Rose Quartz, Pearl, Labradorite, Onyx and Aqua. It always come with matching pendant. Charlene K jewelry was seen on REGARD MAGAZINE – APRIL-MAY 2016 Issue, for the ladies of TV SHOW – “CONTAINMENT”! Containment is an upcoming American miniseries, based on the Belgian TV series Cordon. The show was officially ordered as a series by The CW on May 7, 2015, and is set to debut April 19, 2016. Charlene K Labradorite gemstone jewelry is simply unique and exquisite. This beautiful and mysterious gemstones are “captivating and fascinating”. This stone initially appears cloudy and grey, but when moved or viewed in different lights, it gives off a distinctive iridescent rainbow flash of colors, ranging from metallic blue, green, yellow, gold and red. This interesting effect is known as ‘labradorescence’ and is caused by a scattering of light from thin layers within the stone that reflect back and forth. Labradorite gemstone goes well with any color of your outfit!